Cluster grouping is a method teachers use to meet the academic needs of gifted children and their peers in school. Learn more about how this teaching strategy works and how it benefits students with this review of the practice. If cluster grouping isn't practiced in at a certain grade level or at a certain school, consider requesting teachers or administrators to implement this method, so all children can learn at a suitable pace. How does cluster grouping work? It's simple. Gifted children in one grade level are grouped together in one classroom. For example, if a school has three different third grade classrooms and five gifted children in third grade, all five of these children would be placed in one of the three third grade classrooms rather than split up and placed in the different classrooms. This makes it easier for teachers to deliver instruction to them at a level that's suitable for their needs. The gifted children placed in cluster groups need not be globally gifted. Instead, they may be gifted in one academic area, such as reading or math. Consequently, the children who are mathematically gifted might be placed in one classroom while the verbally gifted are in another classroom. However, placing them in different classrooms is a problem if any of the children are globally gifted, or gifted throughout subject areas since they can't be in both classrooms at the same time. Movement in and out of these groups is relatively fluid. A child may be in the advanced group in math but not in reading. Moreover, the child's gifted status may change from year to year, meaning he could be in the advanced group in math one year but not the next year. Cluster grouping isn't always practiced on one grade level. Some children may be gifted but haven't been identified as such yet. Other students may be newcomers to a school with abilities unknown to the staff. This makes it unlikely that school faculty or administrators would know ahead of time to put select children in one class. 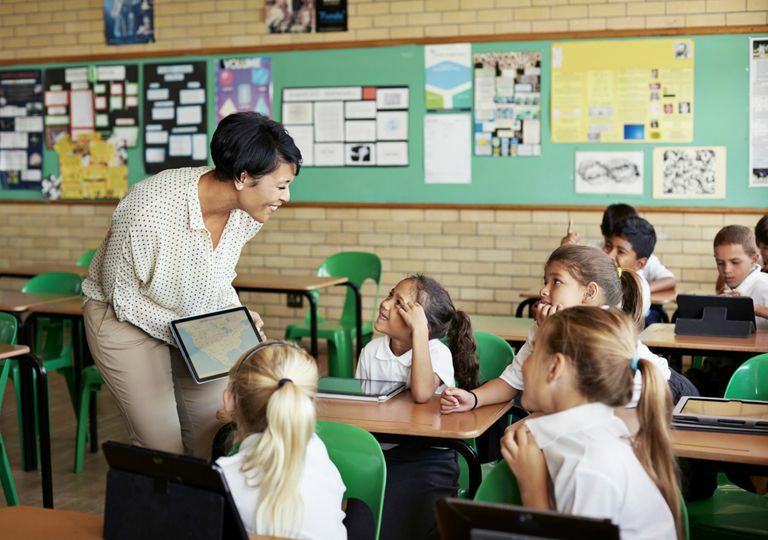 A teacher, however, may notice that she has a handful of students with excellent language abilities and another handful with excellent math or artistic abilities. Accordingly, the teacher may split her class into thirds based on students' abilities. This allows teachers to deliver instruction in a way that's suitable for the wide range of learners in the classroom. Cluster grouping is an inexpensive way for schools to meet the academic needs of gifted children. However, teachers must be able to differentiate instruction for the different levels of ability in the classroom.